1Combine sifted dry ingredients, add Nuttelex, water and vanilla and mix on high speed till creamy. Then add eggs and continue mixing for a few more minutes till super creamy. 2Scoop into two greased and lined prepared cake trays. 3Bake at 170C for 40 minutes or until skewer comes out clean. 4Let cool in tins for 30 minutes. 5Turn onto a bench lined with cling film. Cut out star shapes. 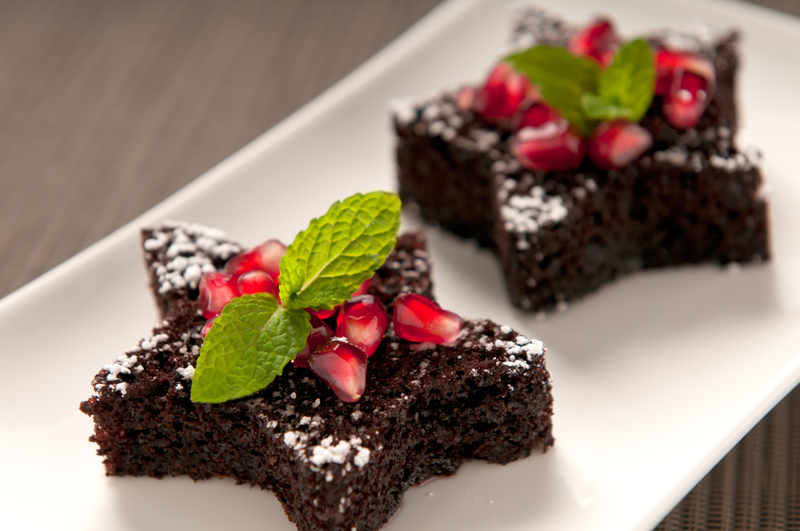 6Decorate with sprig of fresh mint, pomegranate seeds and sift icing sugar on star tips.